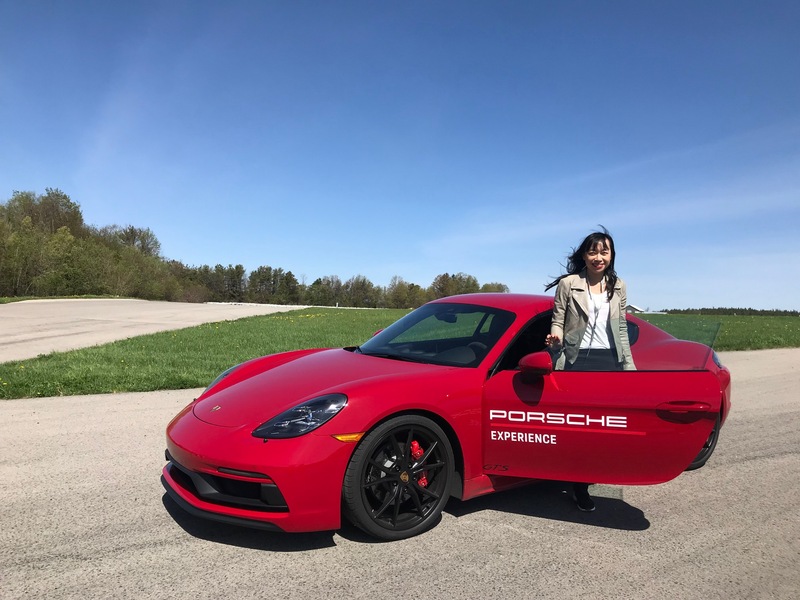 Um, drive a Porsche on a track? Hell, yes! 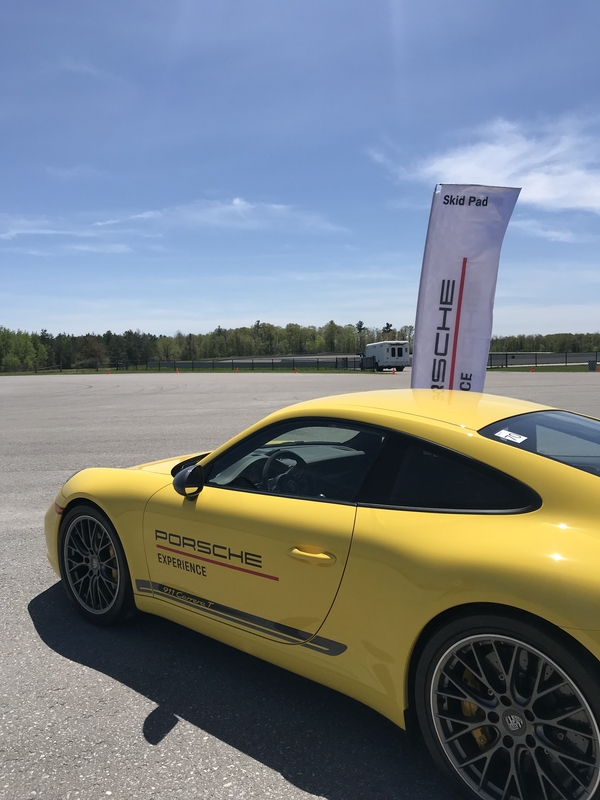 As I’ve only ever been in a Porsche once before, when I was invited out to a track day with Porsche Canada at Canadian Tire Motorsports Park, I couldn’t pass up the chance because this isn’t an opportunity many people get to have! We started with some lessons on what we’d be putting into practice that day. I found out what a friction circle is (the amount of grip a tire gives you) and that we would be learning how to get the most out of the driving dynamics by managing how the vehicle’s weight is transferred. Don’t forget that the track conditions and also that water, snow or ice affects the tires’ grip, too. I also learned what oversteering and understeering is: understeering is when you turn the steering wheel and the front loses traction and slides, and oversteering is when the rear loses traction. When you oversteer, the idea is to countersteer and turn into it, and to look in the direction of where you want to go. When driving the track, you should be looking to make the track as wide as possible for yourself; always be looking ahead to connect the dots (which on the track is indicated by orange cones) and this way, by looking ahead, you have more time to be in control of the stability of the vehicle. This all makes sense when they’re explaining it, but putting this into practice once on the track is a challenge for me. For our first drives through a course outlined with cones, I was never quite able to manage coming to a hard brake sufficiently enough that the hazard lights came on as we were instructed to do (I was pretty nervous to be going hard on the gas with one of the instructor’s right in front of me, and braking hard when he indicated to go left or right—this little exercise is daunting, you feel like you’re going to run him over!). Also, maybe it’s just me but when a course is outlined with traffic cones, I don’t find it that entirely obvious (you may recall I have gone the wrong way on such a course in the past). My favourite part of the day was when we drove a Porsche with easy drift tires on. It’s funny because you feel as though you’re driving a decent speed in a circles but it’s actually only about 10-15k an hour. I’m not sure if this experience will help me if I were to ever oversteer in real life (but hopefully so! ), and I definitely won’t be starring in the next Tokyo Drift flick but it was hella fun. We did another challenge in which our goal was to make it through the course as quickly as possible without knocking any cones down, and I didn’t even check the results as I’m sure I was last! This just simply isn’t my forte. I skipped doing my last few individual laps around the track because I felt a bit nauseous from the track time and I also had my glasses on for the day (rather than contact lenses), and this always makes me generally feel less at ease plus having my glasses on with the helmet is also not comfortable. I’m not a car geek but I think doing exercises such as these all help to making me feel more comfortable behind the wheel and builds my knowledge of how to be in control of a car. Now having a chance to regularly test drive different cars, I enjoy the experience of seeing and feeling what one vehicle feels like over the next. 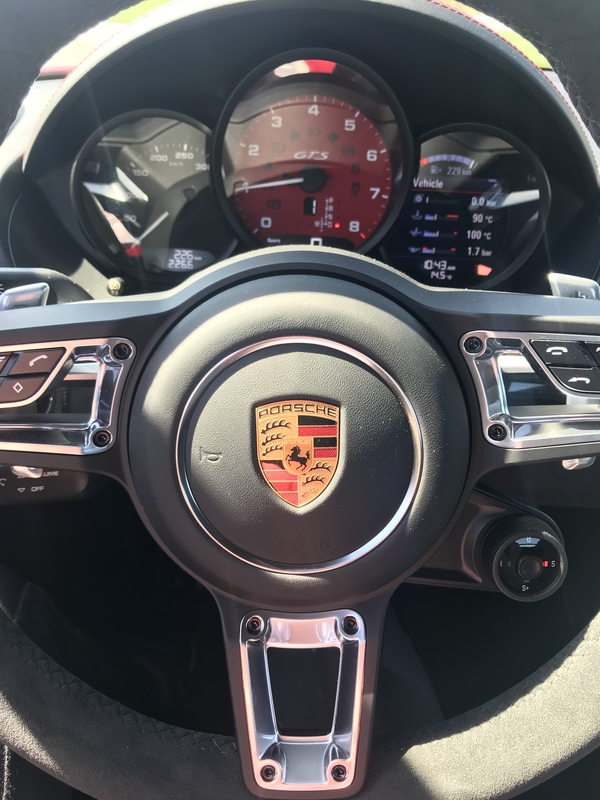 Even if I may not know the technical driving terms, I think it rounds out my understanding of how to evaluate a car’s performance in my own way. 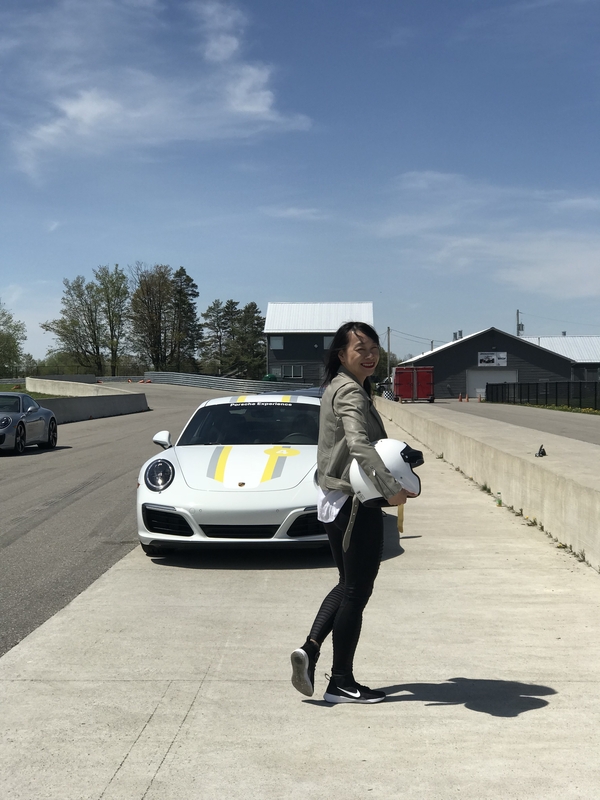 Thank you Porsche Canada for the informative and fun day on the track in your beautiful cars!